We simply like events! Sometimes, the whole team at the agency is fully involved in looking after your event. This ranges from coordinating with everybody else and printing some urgent items, to ordering some burgers for the team even more urgently! 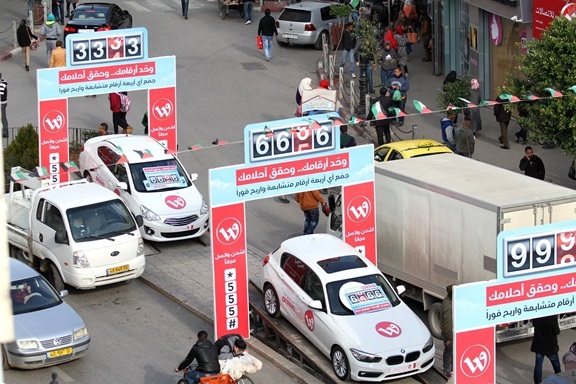 In 2015, we’ve orchestrated some BIG events, some for old special clients like Wataniya Mobile, and others for new clients, like Mitsubishi. 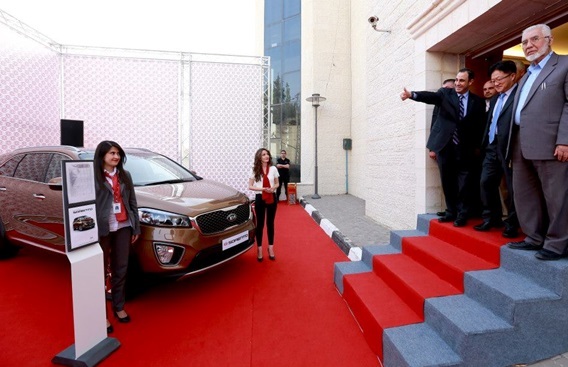 An affordable fuel-efficient sedan, equipped with technology, safety, and comfort features, was launched in Ramallah early in 2015. 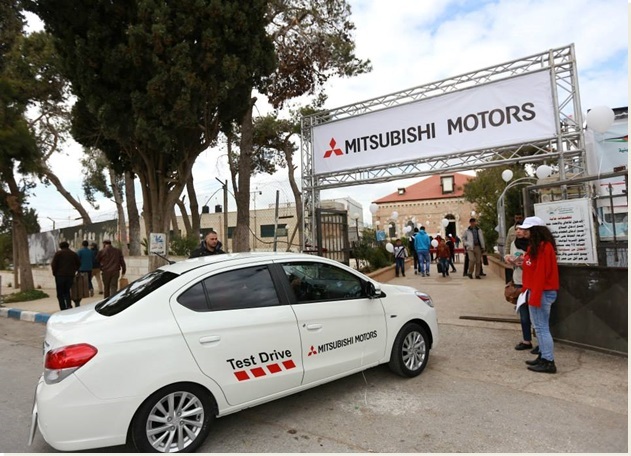 The event has aimed at promoting the car by creating direct selling opportunities. 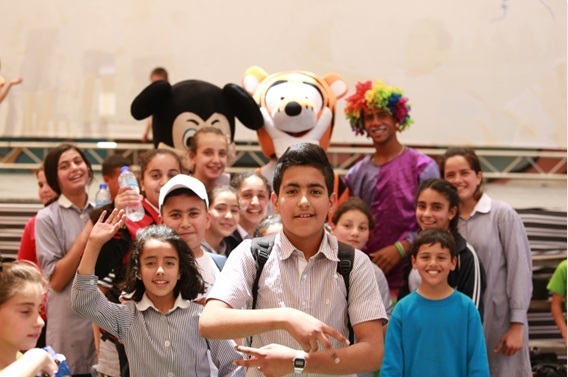 It has further included entertaining activities for the family including clowns, music, and gifts at Sarreyet Ramallah. 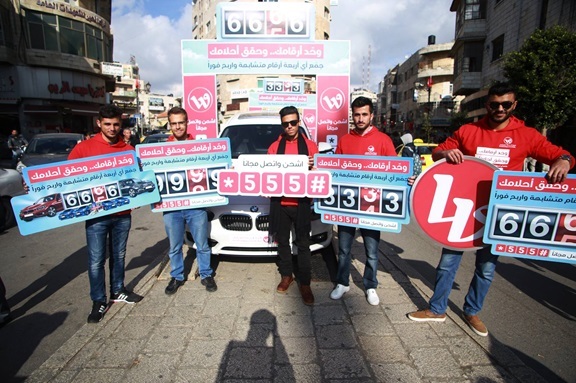 On human rights day, the EU representative office in Jerusalem has hired Sky Advertising to organize a series of 6 plays at different elementary schools in West Bank and Gaza. Managing children was indeed harder than expected! However, the plays were exciting and children interacted much with the content of the play, which fosters the values of equality and respect for disabilities, different ethnicities, and minorities. We like to celebrate our clients’ success as much as we celebrate ours! 6. 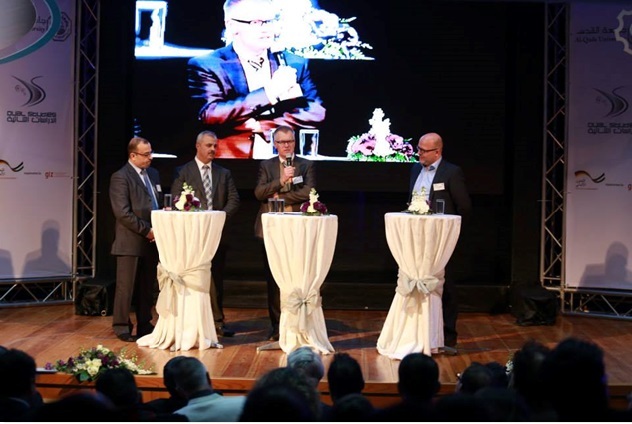 Launching the Dual Studies Program at Al Quds University; in cooperation with Deutsche Gesellschaft für Internationale Zusammenarbeit (GIZ) and Axsos (AG), Germany. We’ve organized a TED-style conference to launch the DS program. 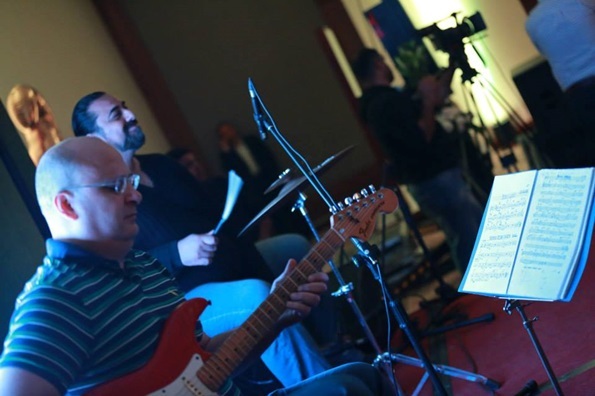 This program gives students the opportunity to get on-the-job-training during their studies at Al Quds University. 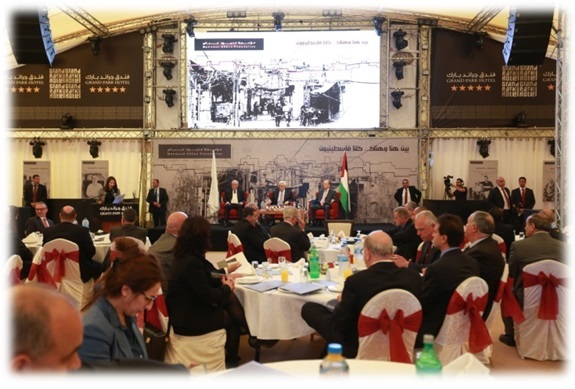 Several profit organizations have joined the initiative to support the German experience in Palestine and sponsor some students. 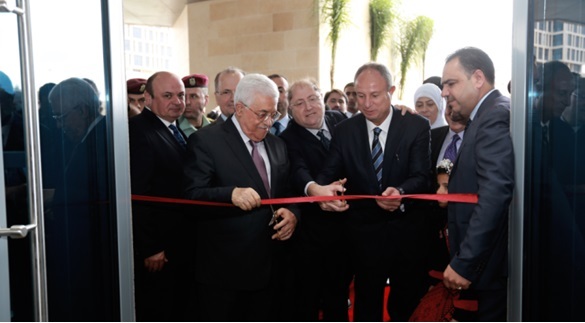 The Consolidated Contractors Company (CCC) has hired us to orchestrate a prestigious ribbon-cutting ceremony under the patronage of his Excellency Mahmoud Abbas the President of Palestine. 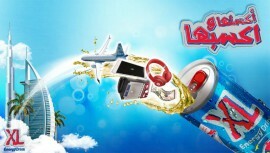 Sky’s team has planned and implemented the logistics, catering, protocol, and branding of the whole event. 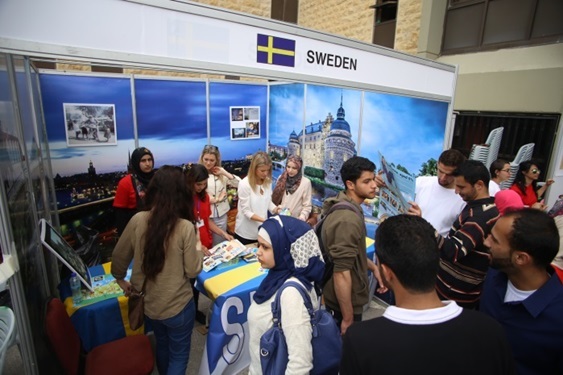 One day every May of every year, the whole team at Sky rushes to Sarreyet Ramallah to help the event guys in managing Europe Day, a public event for the family and kids as well as exhibition for EU-funded organizations and partners. 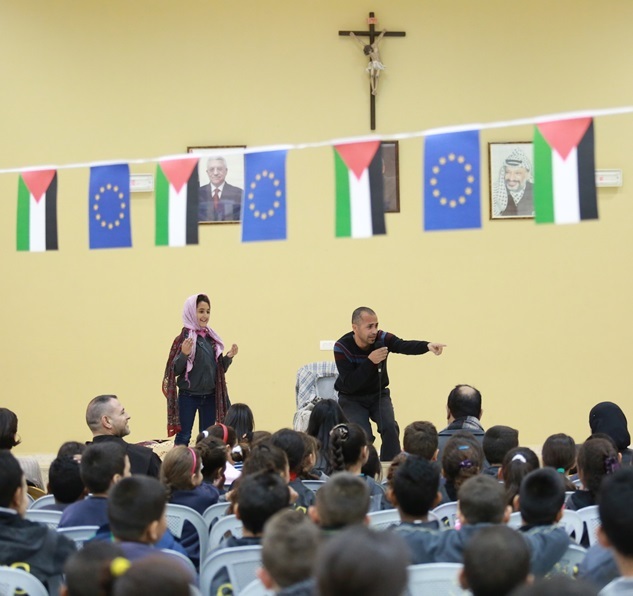 We bring in clowns, face painters, and storytellers to entertain school children, and meanwhile, arranging the visit of the Palestinian Prime Minister and EU head of mission to the exhibition. 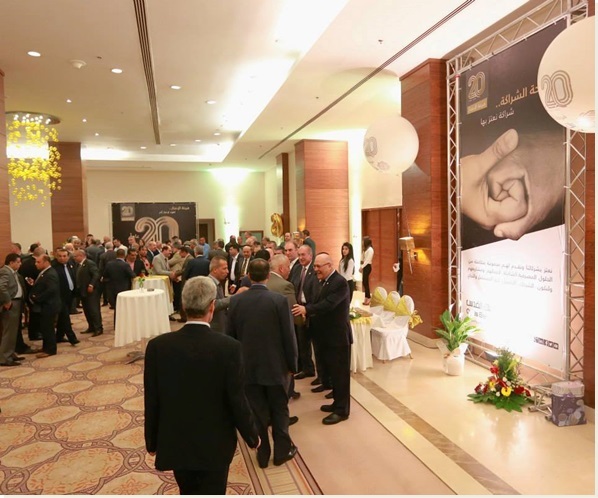 Under the patronage of his Excellency the President of Palestine Mahmoud Abbas, Palestinian figures from both the private and public sectors were invited to donate for and support the education of Palestinian youth living in refugee camps in Lebanon. A series of public activities that we’ve organized in the centre of 7 major cities, and more events are yet to come in 2016! If you buy a SIM card from one of these stands in the city centre, you get the chance to try the luck wheel. 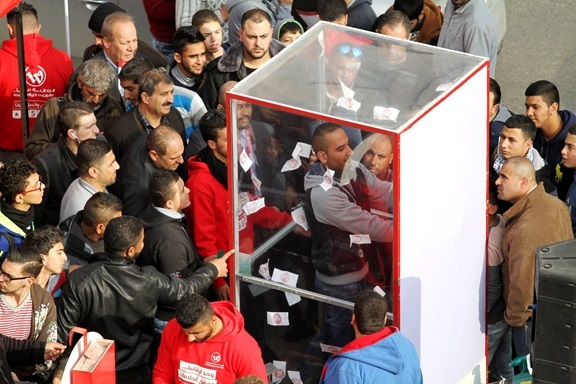 If you are lucky enough to win the CASH BOX, all you have to do is get in that box and try to collect as much paper money as you can in 10 seconds…believe it or not, you will go back home with the money you’ve just collected! 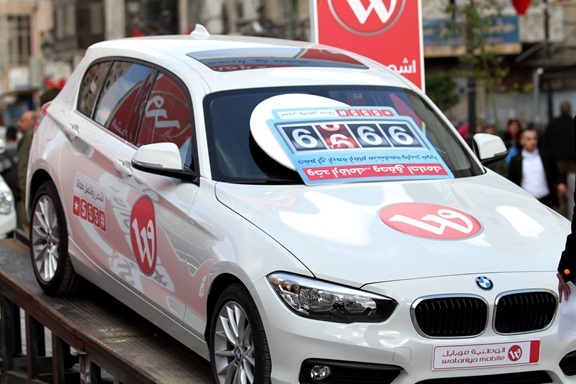 You might even be luckier, and win one of the 2 BMWs or one of the 4 Mitsubishis showcased in the city centre. 1. 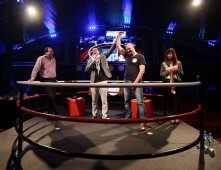 Get in the Ring! That is indeed event of the year! 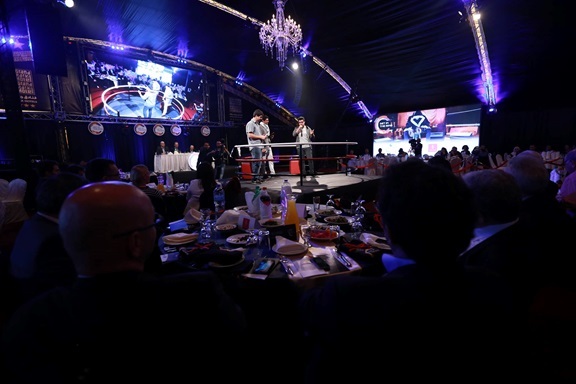 A vital competition that takes place in 80 countries around the world. It is basically the best place where startups can pitch their ideas to investors, renowned business people, and tech influencers. 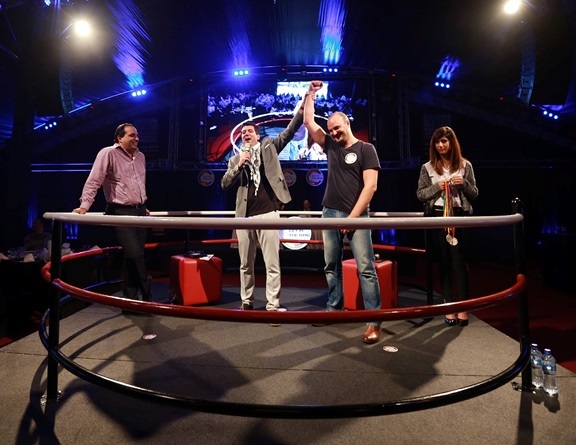 Holding the theme of a boxing match, the global challenge classifies startups into 3 different weights. 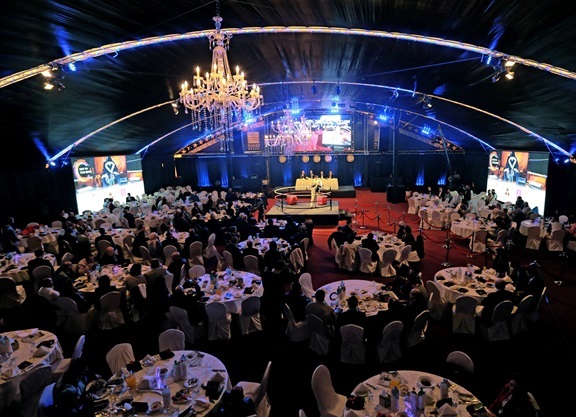 Entrepreneurs can proceed to the international final competition through national and regional pitches, where a global winner will then be announced.